"She is so good she could turn professional right now. If she decided to sign a pro contract right now, every company in the business would be bidding on her. But she hasn't decided that she wants to forgo the college experience. I think she will make that decision at the end of high school." "I still look at my college running as the best time of my life. I wouldn't have wanted to miss that. It could be the same with her. Or she might decide that just concentrating on running will be better for career." - Alberto Salazar talking about whether Mary Cain will go to college or straight to professional running after high school. What should Schumacher's group be named? Anyone wear their watch on the right hand? 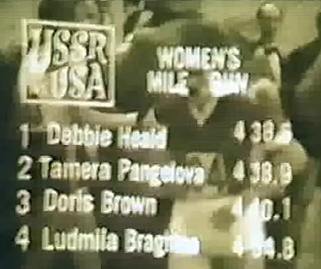 How much can sub-4 minute milers bench? 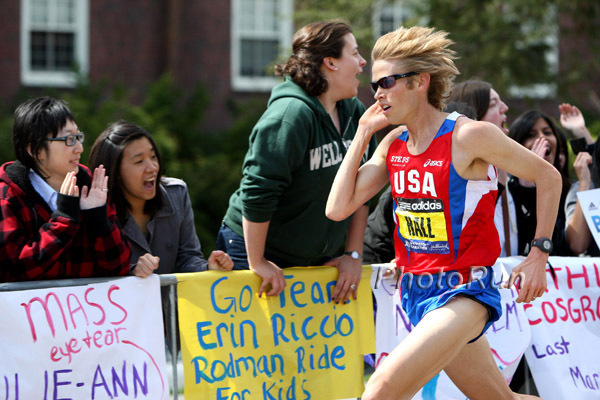 Anyone else totally disgusted by Dathan Ritzenhein's comments about world cross country? 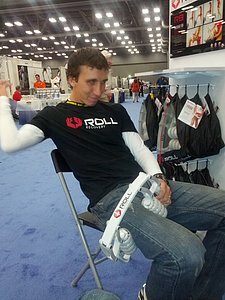 LRC 2013 USA Indoor Track & Field Championships: A Fan's Guide: Does Mary Cain Win Her First Title? A Centro Double? 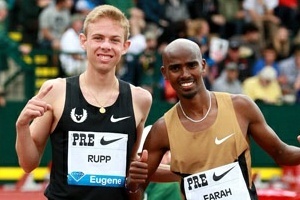 Who wins the men's 800? Andrews, Mulder, Sowinski, Wieczorek or possibly Centro? Mary Cain tries to win US sr. title #1 - Will she face fellow teen phenom Ajee Wilson? USATF US Indoor Champs Preview On the women's side, Mary Cain vs. Ajee Wilson in the 800 should be interesting. Matt Centrowitz is in the 1,500 and 800; Jeremy Wariner is running the 400 in what will be his first time competing at US Indoor Champs. Alberto Salazar Having Mary Cain Race The 800 At US Indoor Champs Even Though "She is not really trained for it." Talking about whether she'd go to college Salazar said, "She is so good she could turn professional right now ... but she hasn't decided that she wants to forgo the college experience. I think she will make that decision at the end of high school." Guest Column By A HS Coach The Salazar Effect: A Lasting Impact? West Genesee (NY) coach Jim Vermeulen: "My central question is whether the trends toward greater scholastic runner visibility (via meet sites, Flotrack, Milesplit,etc) and the increased potential of scholastic runners opting out of school programs is ultimately positive for ALL of scholastic running?" Good Article From Ken Goe On Nick Symmonds And His Ongoing Battle To Improve Sponsorship Opportunities For Track Athletes Symmonds: "It's important to remember I'm not an employee of Nike. I'm an independent contractor, and toeing the party line and helping Nike get a monopoly hurts me in terms of renegotiations. It hurts the entire body of professional track and field athletes if there is a monopoly of one or two shoe companies." How Will This Affect Her Hurdling? Lolo Jones Talks About The Training/Eating Differences Between Track And Bobsledding She says she eats extremely healthy and races at 133, but with bobsledding she got up to 150 and was encouraged to eat junk food and put on muscle mass. Good Q&A With Defending NCAA Mile Champ Chris O'Hare On NCAAs, Millrose, Coming To The US From The Uk And More Talking about pain while racing, he said, "When you think about it like that, you're expecting the pain, you know it's going to come, and I'm totally fine with that. I can handle it. I know I'm not going to keel over and die." Wrestling: Olympic Wrestler Returns Medal To IOC In Portest Of Wrestling Getting Cut He's the second to do this. Q&A With Dathan Ritzenhein Ahead Of NYC Half On doing a half instead of World XC: "I wanted to do something that I would be excited for, people would care about. Right now, the half marathon is this rocking distance that people love." 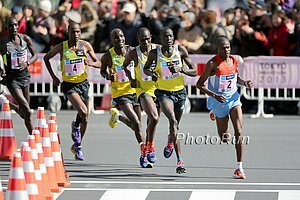 This Weekend: Three Big Japan Races On Sunday: Lake Biwa Mainichi Marathon Will Help Choose Last World Champs Spots The international field at Lake Biwa includes 2:05:13 man Vincent Kipruto, 30k WR holder Peter Kirui and 2012 Houston Marathon winner Tariku Jufar. Also Sunday are the National University Men's Half Marathon Championships and Yuki Kawauchi leading the field at the Tamana Half Marathon. Alberto: Mo & Galen Now Get A Few Weeks Totally Off "They have a couple weeks with no running whatsoever. Then Galen and Mo will start building up for outdoors." Catching Up With Canadian 5,000 (14:54.98) And 10,000 Record Holder (31:44.74) Courtney Babcock The former Michigan runner is now coaching at Montana. Family Affair: 2011 World Jr. XC Champ Faith Chepn'getich Is Pumped To Try To Defend Her World Jr. Title With Her Older Sis On Team For First Time With a 4:03 PR, we think she's got a great shot at repeating. Her older sis Beatrice Chepkemoi is on senior women's team. Jessica Ennis Is Prepared To Pay Her Coach Toni Minichiello's Wages We've never understood why agents get a ton of cash from runners but their coaches get often zero. Kazuhiro Maeda, Top Japanese Runner At The Tokyo Marathon For 4th In 2:08:00, Has Lashed Out At Yuki Kawauchi, Telling Him To "Stop Making Fun Of Corporate Runners" Maeda: "I don't know whether I'm going to be on the team, but if I am then I'll be running ahead of him. If I don't beat him he'll just go shooting his mouth off again. I want to leave him with nothing to say." 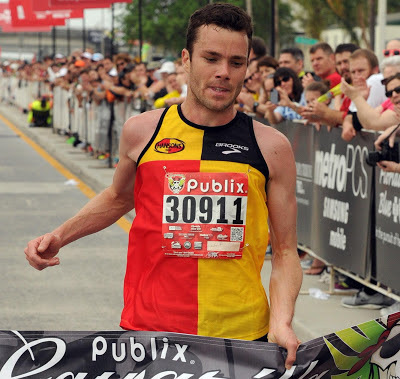 Bobby Curtis Wins Sunday's Gasparilla 8k In 23:30 As Tune-Up For The March 9th USA 15K Champs Article includes a picture of him in a Hansons-Brooks singlet. Big 10: Cas Loxsom 1:15.42 American Record* For 600m At Big 10 Meet This was on a 300m track, so it isn't eligible for the record that may not even officially exist. IAAF doesn't recognize the 600m and USATF doesn't have it on its website. Regarless, it's the fastest 600m run indoors by an American and it was done without a rabbit at a conference meet. Pretty cool (and just as we predicted). *The Badger Herald: "Botched Relay For Illinois Seals Big Ten Indoor Championship For Wisconsin Men"
*Full Men's Results Japheth Cato scored 6,090 points in the heptathlon to win. *IU's Derek Drouin Sets Heptathlon HJ WR With 2.30m (7-6.5) This breaks the recently set mark by Washington's Jeremy Taiwo by two inches. SEC: *Full Results *Arkansas Sweeps Men And Women's SEC Titles The women's competition came down to the final event as Arkansas was only 1 point up on LSU going into the 4 x 4, but won, extending their victory to 5 points. *IAAF: Four World Leads At SEC Champs Deon Lendore set a Trinidad & Tobago NR with 45.15, Kimberlyn Duncan ran the fastest indoor 200m performance in the world for five years with 22.54 (#6 US all-time), World Junior 100/200 silver winner Aaron Ernest set the 200 WL at 20.53 and Marquis Dendy hit 8.25m in the LJ, which was the best indoor performance by an American for 9 years. *Meet Site Other results: LSU's Charlene Lipsey won the 800 in 2:02.48 as Florida's Cory McGee won the mile in 4:35.33. 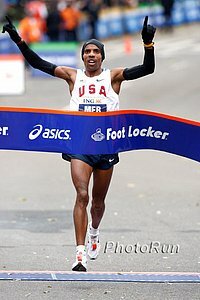 Henry Lelei won the 5k in 13:54.33. MPSF: Elijah Greer Runs Fastest 800 In The Nation This Year (1:46.73) As Oregon Women Take MPSF Title ASU won the men's title over Oregon. OU's Alexi Pappas won the 3,000 in 9:07.97 over Megan Goethals. *ASU Men Win Men's Title Over Oregon In 2nd In the mile, 4 went sub-4 with Stanford's Michael Atchoo winning in 3:57.14; Mac Fleet was 7th (4:01.04). Big 12: *Full Results *Texas Men Win Big 12 Title Over Oklahoma In 2nd; Kansas Women Beat Out Texas By Just 2.5 Points Kennedy Kithuka broke the Big 12 MR in the 3k with 7:53. *University Of Oklahoma's Patrick Casey Wins Mile, 1,000 And Anchors Winning DMR Casey is only the second Oklahoma runner to win the conference mile, and the first since 1960, when Gail Hodgson did it. *Clemson Women Win Third Straight ACC Crown FSU's Amanda Winslow led won the women's 3,000-meter run with a record time of 9:08.13. *Harvard Women Win The Heps For The First Time In 13 Years As Cornell Finishes A Close Second, Losing 117 To 112.66 Abbey D'Agostino dominated a pretty good mile field, winning by 8 seconds in 4:32.42 with 3 others under the old meet record. ACC *Day 2 Results - VTech Men/Duke Women Lead The FSU women set a new DMR record (10:57.41 #2 in NCAA for 2013). The Maryland men may have been saved from elimination but they have yet to get on the scoreboard. 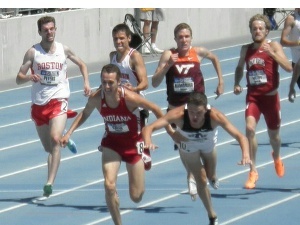 On The Boards: Big Ten Men's 3000: Just a Sit & Kick - NOT! SEC: Full Day 2 Results Henry Lelei won the 3k in 7:57.57 over Arkansas's Stanley Kebenei (7:58.58). Arkansas men and women both lead going into the final day. *Florida's Marquis Dendy Sets SEC Record And World Lead In LJ With 27 Feet, 3/4 Inches Apparently his father promised to give him a car if he jumped 27-5. Could that be an NCAA violation? That's a joke. HEPS Men Day 1 Report: Harvard Has Slim One-Point Lead Over Cornell Harvard's Nico Weiler set an all-time Ivy record of 17-7 ¾ to win the PV. *Heps Women Day 1 Report: Cornell Leads With 35 Points Over Harvard (29) And Princeton (26.5) Abbey D'Agostino won the 5,000m with a MR 15:47.02. 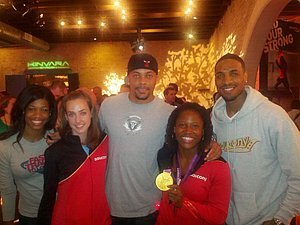 *Saturday-Sunday: USATF Indoors Live TV: Universal Sports 6-8pm Sat, Live NBC Coverage 4-6pm East. Sunday. Ritz aint the only one: World Junior XC Champion Geoffrey Kipsang Axed From Kenya World XC Team After He Failed To Report To Camp Kipsang, who we said is currently the best runner on the planet, was given a wild card after he missed the trials to race the RAK Half, which he won in 58.54. Kenya's 2010 World XC Champ Emily Chebet Not Fazed By The Inclusion Of Tirunesh Dibaba On Ethiopia's World XC Team Chebet: "I beat her in 2010 and I believe I have regained my strength and form to repeat the same." After A Disappointment/Injury-Filled 2011-2012, UK's Jenny Meadows Thankful To Get A Chance To Defend Her 800 Title This Weekend "I did think maybe I have run my last race. My dad used to always say you're only as good as your last race. There's lots of clichés in sport - you never appreciate something until it's gone - all those things have been true to me the last 12 months." European Indoor Championships Will Get Over 250 Hours Of TV Coverage This Weekend Does the US get that much in a whole year? After Coming Back From A Long Period Of Injury/Poor Performance, Irish 400 Runner Brian Gregan Is Hoping To Come Through With A Medal He's the current European leader. IAAF Lake Biwa Preview International field at Lake Biwa includes 2:05:13 man Vincent Kipruto, 30k WR holder Peter Kirui and 2012 Houston Marathon winner Tariku Jufar. Palestinians Have Called For A Boycott Of Today's Jerusalem Marathon Because The Route Goes Through East Jerusalem, Their "Hoped-For Capital"
Mo Farah Tweets Asking People To Stop "Being Nasty" To News Reporter Who Asked Him "Haven't you run before? This isn't your first time?" 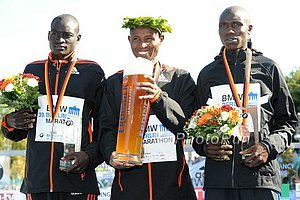 Follow-Up Interview With German Journalist Who Broke The Initial Story About Possible Doping In Kenya He says he knew about Wilson Erupe Loyanae's anti-doping violation before it was published officially and that there is a female runner who won a very important race in Kenya, but hasn't been announced yet. Caster Semenya Denies Rumors That She Is Pregnant She also said that she will only be focusing on the 800 this year; nothing else. Good Read: A Look At The Town Of Bekoji, The "Iten Of Ethiopia" Which Has Produced Amazing Runners Including Tirunesh Dibaba And Kenenisa Bekele Dibaba: "You should bring back gold when you compete for Ethiopia. The people don't accept anything less ... Silver and bronze in our country is no better than finishing fifth or sixth." March 9th: Sally Pearson Opening Her Season With A 100 & 200 At Sydney Track Classic Olympic LJ silver medalist Mitchell Watt will also compete. Jeff Demps Returns To Track, Fate With Patriots Unclear He wants to do football; the question is whether the Pats will cut him. After watching Jacoby Jones in the SBowl, we sure hope not. Full Brooks PR Recap: Erin Finn Wins 2-Mile In 10:08 As Bernie Montoya Took A Competitive Boys Race In 8:54 One of the highlights was the boys 800, which was won by defending champion Tyler Smith, who led wire-to-wire in a new MR 1:50.88. Smith said, "Nobody likes to lead it. Everyone wants the win, and I thought it was going to be tactical, but it's my last year and I wanted the record but I didn't really know what I was going to do until I got on the track. Once I stepped on the track I decided, 'Screw this, I'm just going to run it by myself. I can do 1:50.'" Impressive: Felecia Majors Scores The Most Points Ever In The History Of The Virginia High School State Champs As She Scores 49 Points Over 6 Individual Events She single-handedly won her team the state team title as she helped add another three points by anchoring their 6th-place 4 x 4 with a 56-second split. She also won the pole vault and long jump, was 2nd in the triple jump, 500, and 300, and 4th in the high jump. 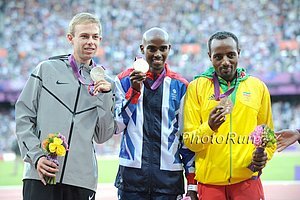 Alberto Salazar Says How Mo Farah's Marathon Debut At The 2014 London Marathon Goes Will Decide What Events He Does At Rio 2016 "He's the best distance runner in the world right now on the track but to go to the marathon at some point, there is no guarantee that he will be the best in the world there." IAAF Profile On Mary Cain, Who Says Along With Her Record-Breaking Races, She Got A Lot Of Confidence From The Workout She Did After The Boston 2-Mile Talking about the workout, she said, "Afterward, being able to turn in a really good workout and a solid effort, I closed my last 200 of the workout really fast, I was like, 'Wow! I still have this left.' That really builds confidence." 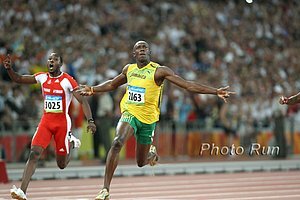 Gibson Relays In Jamaica: Usain Bolt Splits 45.7 On Racers 4 X 4 As Team Times 3:06.9 He skipped the final, where Yohan Blake anchored the team, but got the baton 10m down and couldn't close the gap and finished 2nd. Another Racers Track Club squad won in 3:03.74 with Blake's team in 3:04.00. Brooks PR Meet: MileSplit Weekend Coverage: Michael Cherry Breaks National HS Indoor Record With 33.19 Sasha Wallace won the Brooks PR 60H with a US #3 all-time mark as Cameron Burrell won the 60m in a US #2 all-time 6.61. *MB: SEAN MCGORTY LOSES 3200M STATE RACE TO A JUNIOR! France's Olympic PV Champ Ups His Own World Lead To 5.94m At The National Indoor Meeting in Metz Kim Collins won the 60m in 6.53 as Bethwel Birgen won the 1,500m in 3:36.66. Almond Blossom XC In Portugal: Three Top Kenyans, Including Defending Champ Josphat Kiprono Menjo, Miss Their Flight, Allowing A Portugese Victory Portuguese XC champ Manuel Damião won, becoming the first Portuguese winner since 1995. Defending women's champ Gorreti Chepkoech won easily, beating Portugal's European 10k champ Ana Dulce Felix by 27 seconds. IAAF Recap Of German Indoor Champs: Olympic Silver Medallist Björn Otto Was Challenged But Won The PV In 5.85m, Making A Good Attempt At 6.01m Carsten Schlangen won the 3k unchallenged in 7:55 and Christina Schwanitz set the World lead in the shot. After A Runner-Up And Close 4th Place Finish The Last Two Years, Kenya's Julius Maisei Wins Hong Kong Marathon In 2:14:18 Misiker Mekonnin Demissie defended her women's title in 2.30.49. Kenya's Charles Ndirangu And Japanese Olympian Hitomi Niiya Take Titles At Fukuoka Cross-Country Meet Ndirangu also won the Chiba International XC meet two weeks ago. The race serves as Japanese selection for World XC. At 101 Years Old, World's Oldest Marathoner Fauja Singh Finishes His Last Race At Hong Kong Marathon 10k He ran 1:32:28. BBC Publishes Documents That Indicated They Were Thinking Of Doing A Program On Him Leading Up To London 2012 But Were Worried He Could Fail Drug Test We think this is the Telegraph making a big ado over nothing. Daily Nation: "Kenya's Squeaky Clean Image Is Under Scrutiny As Cheats Pop Up" In addition to the 3 recently-banned athletes, apparently there is another unnamed runner who is in trouble for taking a "booster" meant for people seeking help getting pregnant, which he says was prescribed to him for an injury. Dathan Ritzenhein Blogs About Why He Decided On The Chicago Marathon So Early And How He Will Structure His Year With That In Mind He gives some good coaching advice, saying, "I think for the majority of the season you should never be too far away from racing any one distance." LRC Analysis: The World Marathon Majors Introduce Tougher Anti-Doping Penalties - What Does It Mean? In our minds, the move is a nice symbolic step, but now it's key that the Shoe Companies Need To Follow Suit ASAP. NY Times: Government Joins Floyd Landis' Federal Whistleblower Suit Against Armstrong link fixed "In today's economic climate, the U.S. Postal Service is simply not in a position to allow Lance Armstrong or any of the other defendants to walk away with the tens of millions of dollars they illegitimately procured." - Ronald C. Machen Jr., US attorney for the District of Columbia. *Unreal: Lance's Lawyers Respond - We Don't Care That We Defrauded The Public - It Actually Helped The USPS The sponsorship contract expressly prohibited the use of performance-enhancing drugs and was worth about $31 million, but the lawyers are trying to claim that yes, he doped but it generated $100 million worth of publicity. Three Kenyans, Including 2:05 Marathoner Erupe Loyana, Get Drug Suspensions Well, at least the people who say Kenyans wouldn't use drugs can now be quiet. Every country, including America, has people who would dope. We're still waiting for a big name to fall (not sure what Wejo was thinking - 58:46 half marathoner M. Kisorio was busted last year). Friday: Oscar Granted Bail - Is A Free Man Until June There is no doubt that Oscar killed his girlfriend by shooting her in the toilet. The only doubt is how intentionally did he do it. The prosecutors bumbled much of the evidence at the bail hearing and still do not even have phone records from the evening, but there is now a new lead detective on the case. Substance Found In Pistorius' Home Was Testis Compositum And WADA Says It Isn't Banned It's called Testis compositum and his lawyers say it's a "herbal remedy used in aid of muscle recovery." It may have many other uses to including male sexual enhancement. 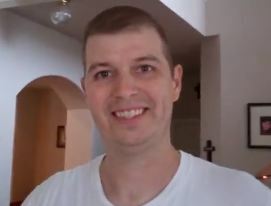 Experts Say Even If Pistrious Is Acquitted Of Premeditated Murder He Will Still Face Charges For Manslaughter Sentences for that have a large range from a fine to significant prison time. Family: National Enquirer Is Lying - Reeva Was NOT Pregnant The Enquirer reported he thought she cheated on him and then he totally lost it when she said she was pregnant. Who Is Telling The Truth? Will Pistorius Train While On Bail? Publicist: "Absolutely not. He is currently in mourning and his focus is not on his sports," versus police commisioner: "It's his wish to continue to practice." We Thought His Dad Had Never Met Her: Oscar Pistorius To Hold His Own Memorial Service For Reeva Steenkamp Oscar has asked for a private service with people who share his loss, including his family members who knew and loved Reeva as one of their own. Oscar Pistorius Has First Mandatory Meeting With South African Authorities As Part Of His Strict Bail Conditions He met correctional officers at a secret location, which disappointed the tons of media hounds who had stood waiting at the police station hoping to see him. SA Official Says That Oscar P Wants To Resume Training While Out On Bail However, a spokeswoman for Pistorius denied that he was making immediate plans to return to the track. Pistorius The "Mystery": NZ Journalist Joins The Many Who Try To Compare The Oscar On Trial With The "Nice Guy" They Had Met And Interviewed Many Times "Pistorius' narrative is partly an exploration of how hard it is to truly know someone who lives so much in the public eye." Police Deny Reports Saying That Pistorius Crushed Reeva's Skull With Cricket Bat Also, the father of Reeva's best friend has come forward saying he told Pistorius to "back off from Reeva" because he was coming on too strong in the early days of the relationship. He described Oscar as "impatient and very moody." Pistorius' Brother Is Facing His Own Manslaughter Trial Over The Death Of A Female Motorcyclist From A 2010 Traffic Accident His trial is in March, 3 months before Pistorius'. Prosecutor Spokesman: "We still believe we have the evidence to convict Oscar Pistorius, but I cannot give details regarding what it is." It Starts Already: BBC Doing Special Documentary On Oscar Pistorius Case They trial doesn't even start until June. Reeva's Family Speaks Out; Her Father Says Pistorius "Will have to live with his conscience if he allows his legal team to lie for him." He also said, "But if he is telling the truth, then perhaps I can forgive him one day."